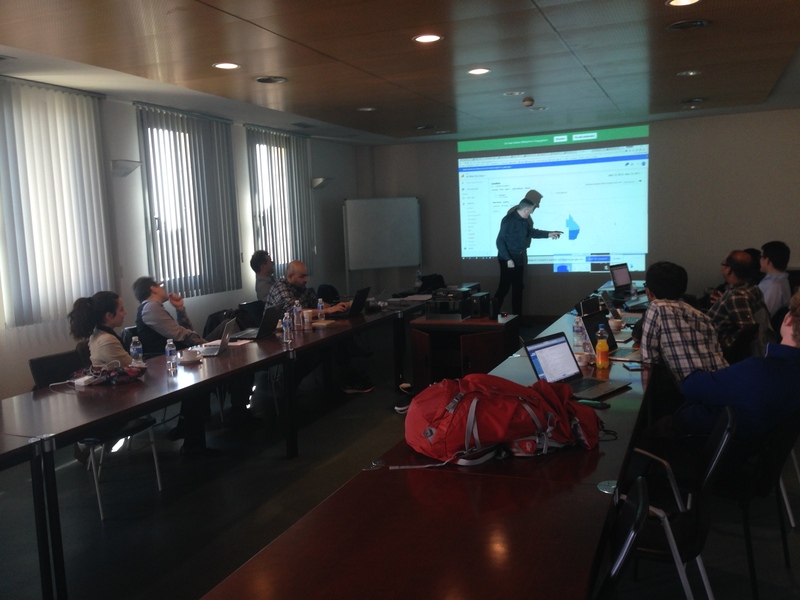 TWT Stuttgart is hosting the Technical project meeting. The project is now in the final phase and tests are analyzed and documented. 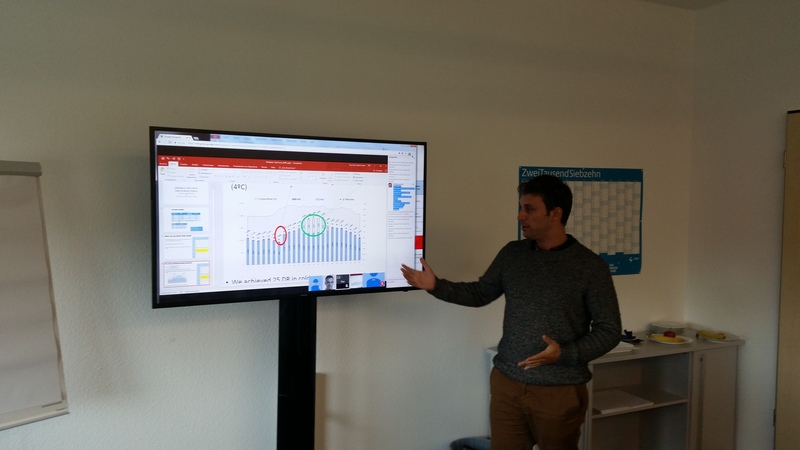 Pau Cortes SAMPOL Mallorca is showing some of the results from the Peak Load tests (cooling) at Son Llatzer Hosptial. Son Llatzer is hosting the project meeting (coordinated by Sampol), these meetings are focused on the trials (Mallorca and Lulea trials) preliminary results. Last seven months of the project are ahead and how to achieved the Key Performance Indicators defined is crucial. 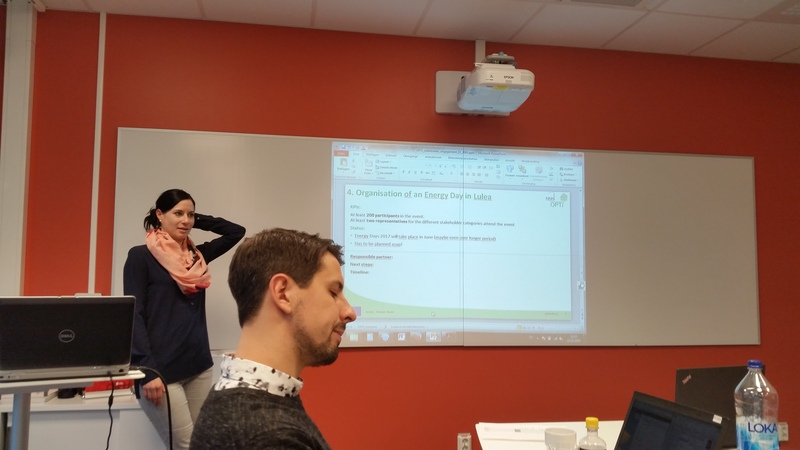 OPTi project meeting hosted by Luleå Energi AB (LEN). Focus on Key Performance Indicators, Integration of OPTi-SIM, Testing and EU review comments. Dr. Yvonne Ritter (TWT) discussing an “Energy Day” conference. Håkan Sundberg (LEN) reflecting on ideas. View from a normal meeting day! 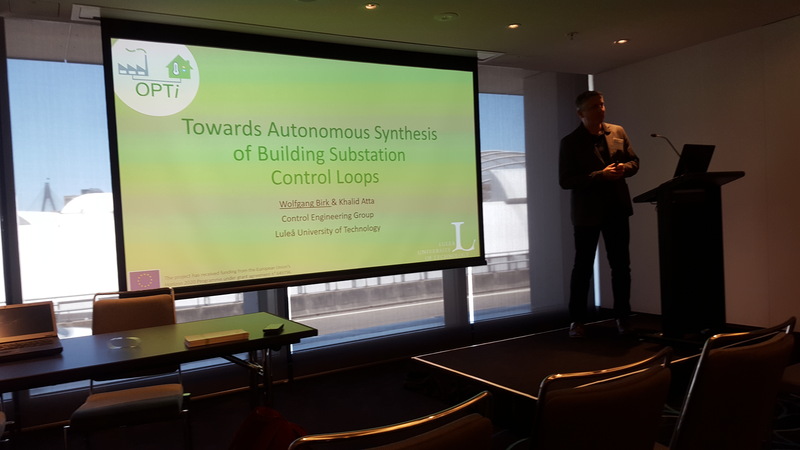 2016-11-06: OPTi workshop at the 2016 SmartGrid conference, Sydney Australia. Prof. Wolfgang Birk (LTU) presenting at the conference. OPTi project meeting hosted by SAMPOL in Mallorca. Planning for our models and the simulation. Milestone 2 was passed on 10th of March. Main focus is now to derive engineering tools for automated modelling of DHC systems from GIS and information databases using dynamics models and the Modelica standard. 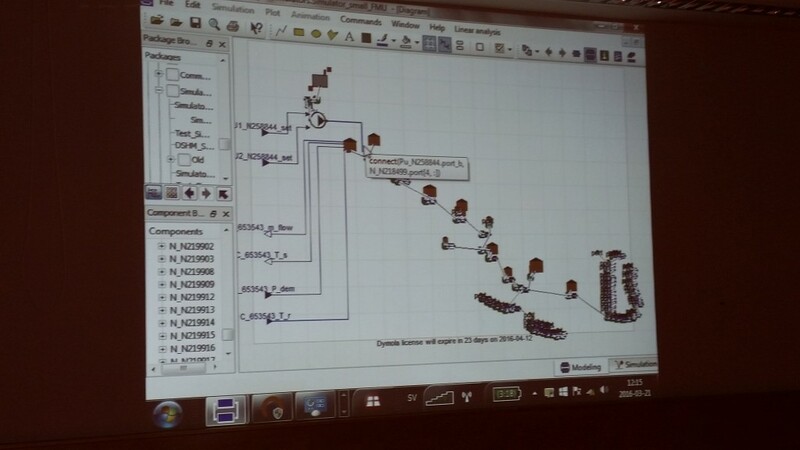 The above picture shows the demonstration of an automatically generated dynamic model of the complete district heating system in Luleå. The project is moving towards Milestone 2. We are now planning the deliveries in connection to the Milestone. Main focus right now is the system architecture for the OPTi Framework and the data management system. 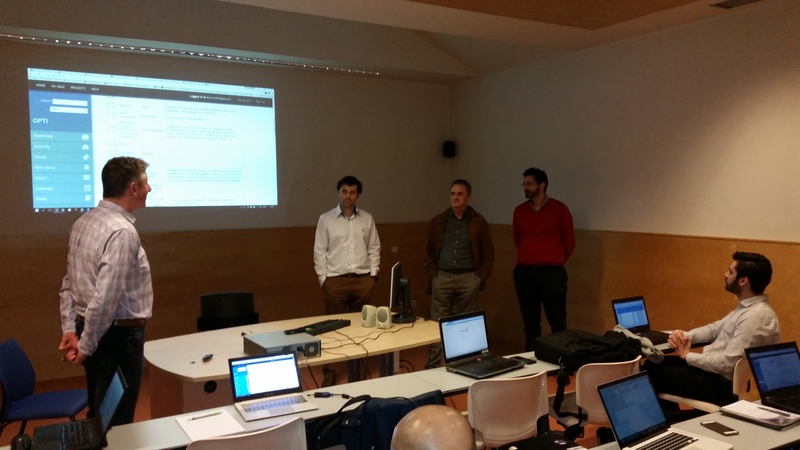 During the final day of the project meeting a short workshop with representatives of the STORM project was organized. It was agreed to organize a research workshop at a major conference in the area. The first technical project meeting takes place in Athens where several workshops on the OPTi Framework are conducted and the framework is specified. 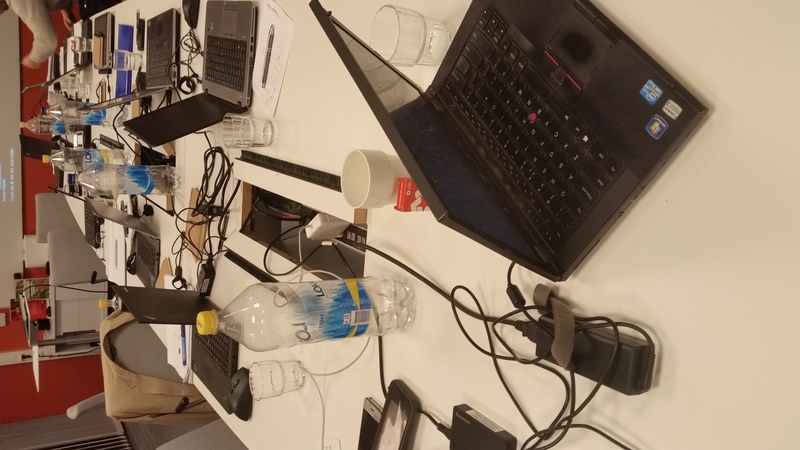 The second project meeting took place just before the vacation periods in the Nordic countries and due to the short time span between kick-off and the second meeting a virtual technical project meeting was conducted using Google Hangout. Main topics of the discussions were the specification and requirements for the different pilots and use-cases that will be explored later in the project. 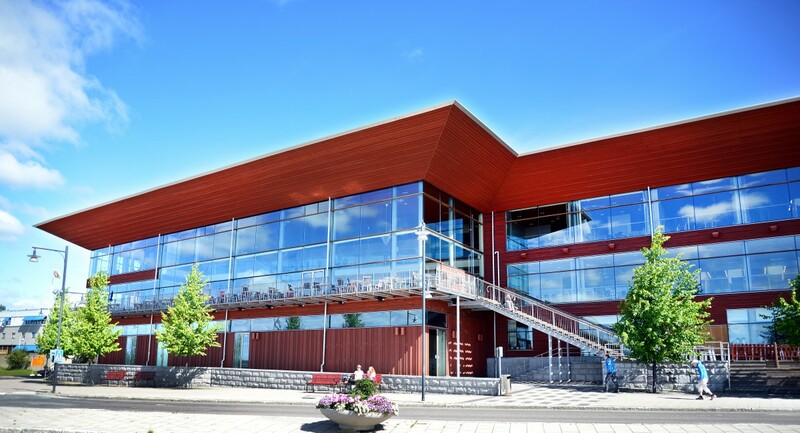 The project kick-off meeting took place on April 22-24th in Luleå at Kulturens hus. All project partners and the project advisor participated in the event and launched the OPTi project. 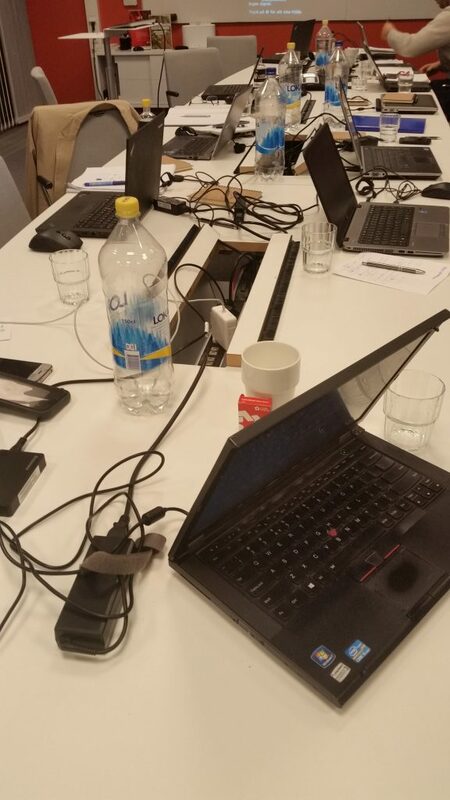 Besides the technical discussions the facilities at the pilot site Luleå Energi were visited.